BAR HARBOR, Maine, May 30 2007 /PRNewswire/ -- According to a recent Recreation Vehicle Industry Association study, more than 7 million U.S. families own RVs. 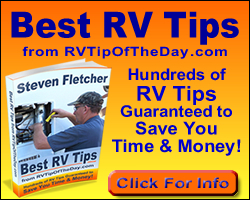 That number is expected to grow to 8 million by 2010 as baby boomers age into their prime RV-buying years -- ten percent of all Americans 55 and older are RV owners. So, it's no wonder that campground owners are expanding and sprucing their facilities to meet the demand. Bar Harbor Camping Resorts owner Patty Rae Stanley is at the forefront. Stanley, along with Chicago-based investment partner Equity LifeStyle Properties, Inc., owns three resorts in Downeast Maine, and she just spent ten months and $4.5 million dollars completely reconstructing one of them -- Narrows Too. Located just a few miles from two of Maine's most popular vacation destinations, Bar Harbor and Acadia National Park, Narrows Too now offers RV travelers nearly 200 full-hookup sites (30/50 amp electric, cable, Wi-Fi, water and sewer), a brand new 2500 sq.ft. entertainment center, new laundry and bathhouses, and a new registration office and store. "We went from 120 campsites to 230," said Stanley. "Then we paved all the roads and reconfigured most of the grounds so the RV sites can accommodate RV Big Rigs with ease -- and so most have views of the sea and the mountains. "All these renovations make Narrows Too the newest, most up-to-date camping facility in New England," she said. According to Stanley, Narrows Too and its Bar Harbor Camping Resortssister campgrounds -- Mt. Desert Narrows in Bar Harbor and Patten Pond in Ellsworth -- also offer all the extras RVers are looking for. RVing vacationers enjoy heated pools and free shuttle service to Bar Harbor and other area attractions at Mt. Desert Narrows and Narrows Too and kayak and canoe rentals at Patten Pond. All three resorts offer beautiful Maine scenery, well-kept grounds, pancake breakfasts and ice cream socials, free movie nights, and live entertainment. "RV ownership in the U.S. is growing faster than the population, largely because of the baby boomers, but also among younger families," said Stanley. "We know today's RVers expect comfort, convenience, and a good time. So, that's what we provide. Our brand new Narrows Too has it all." Bar Harbor Camping Resorts, 1219 State Highway 3, Bar Harbor, ME 04609; reservations 866-917-4300.